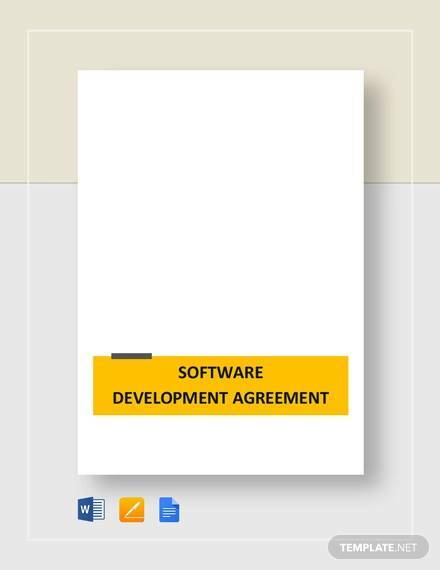 The software development agreement is a set of guidelines that states all the terms and conditions assigned between the company which is developing the software and the company to which the software is to be delivered. 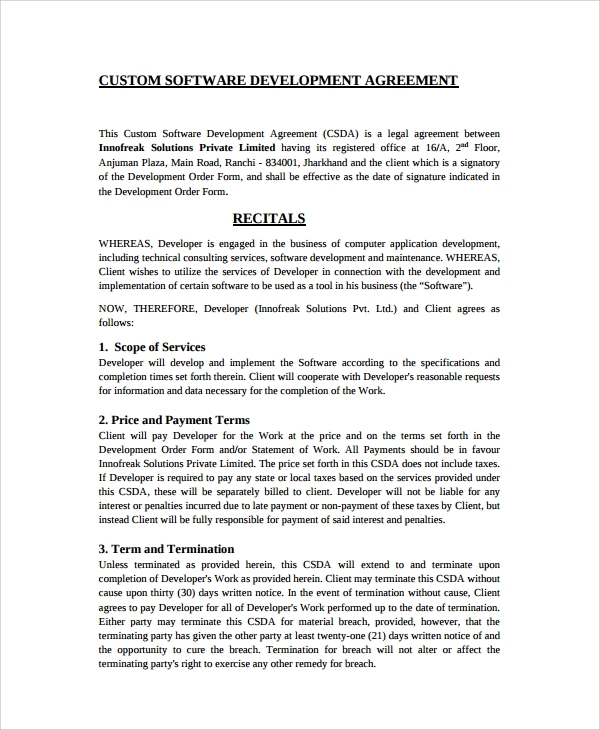 The company developing the software is called Developer and the company to which the software is delivered is called Client. 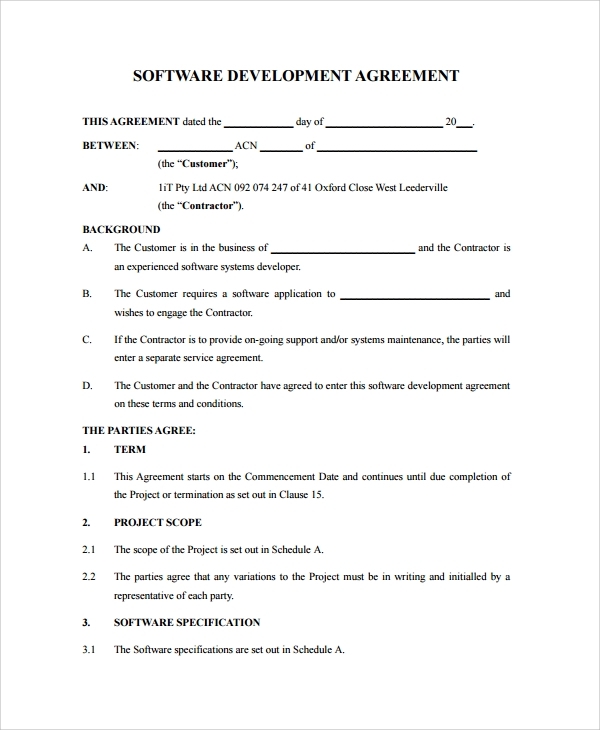 Custom software development agreement: This agreement holds the basic details of the developer and the client. It has an issuing date and a validity date. It has all the confidential data, the agreement details like specifications, training scope, dates and location, maintenance, development costs etc. It also has the payment details, the installments of payment and any other expenses that the client need to bear regarding that software. 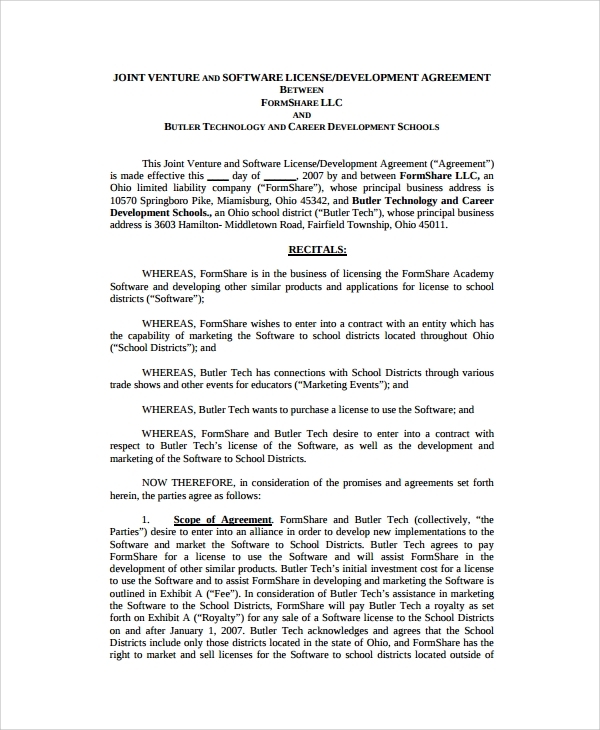 Most importantly, it is specifically mentioned in this agreement document whether it is a open source software or a closed source software. This is a joint agreement because it has signatures of both the authorities i.e. developer & client including place and date. 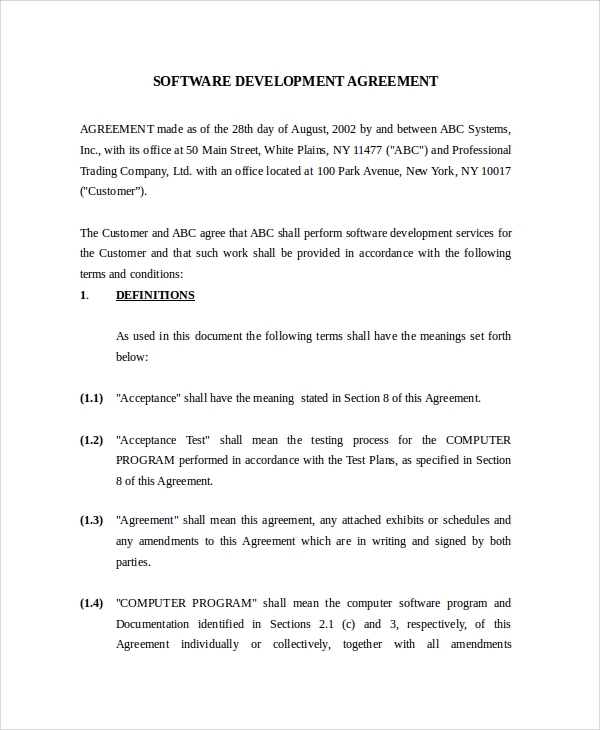 Both the parties carry each copy of this agreement and also it has the communication details like name, position, telephone and email address of the concerned person and company. 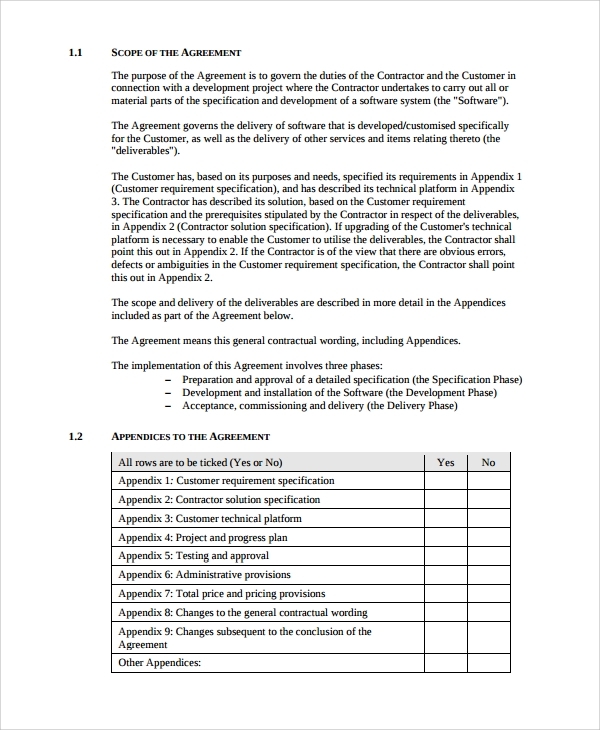 This agreement has the delivery details, duties of customer and developer, development plans and process, payment terms and contract details, copyright guidelines and right of ownership. The other provisions like insurance policies, risks, rights and obligations etc are also included in it. 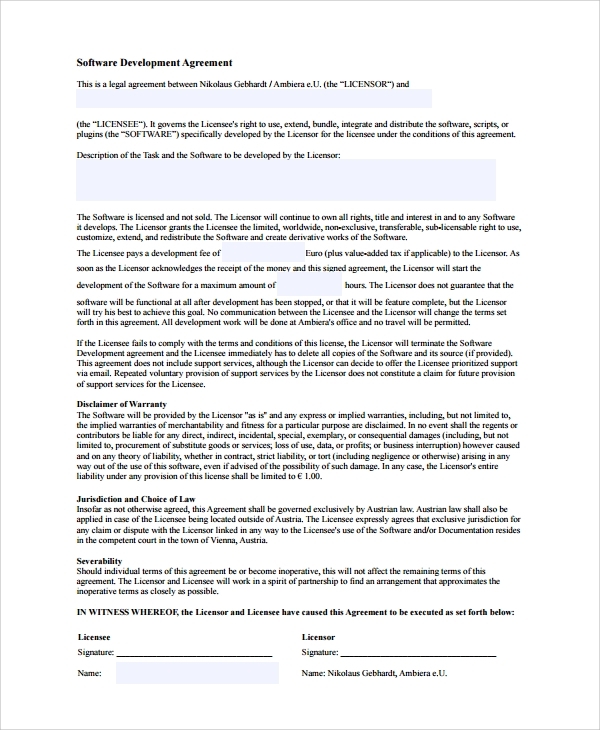 Basically it is a detailed agreement of all the specific details having signatures and communication details of both the parties on the cover page. This document starts from the effective date from which the agreement starts between the concerned authorities. 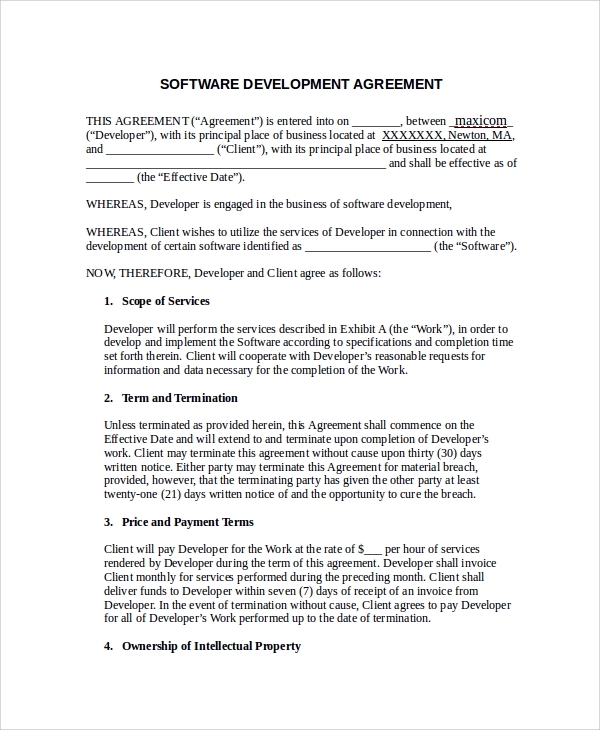 In bold, this agreement emphasizes on three details i.e. product, specifications and intellectual property. Later on this agreement holds all the terms and conditions which if not followed will get the customer into legal trouble. 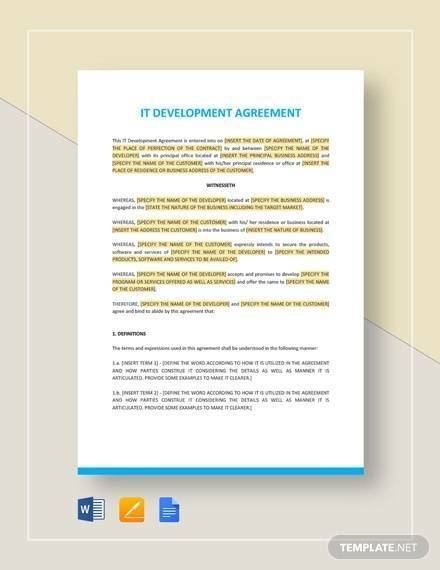 Headings like development, marketing, maintenance, compatibility, fee expenses and payments and most importantly, third party license are included in this agreement. The strict actions that the developer can take are also a part of this. And at the end of the document, the witness i.e. representing client with its social security no./tax id and the agent will be signing this agreement making it a legal document. This template focuses more on the developer and not the customer. 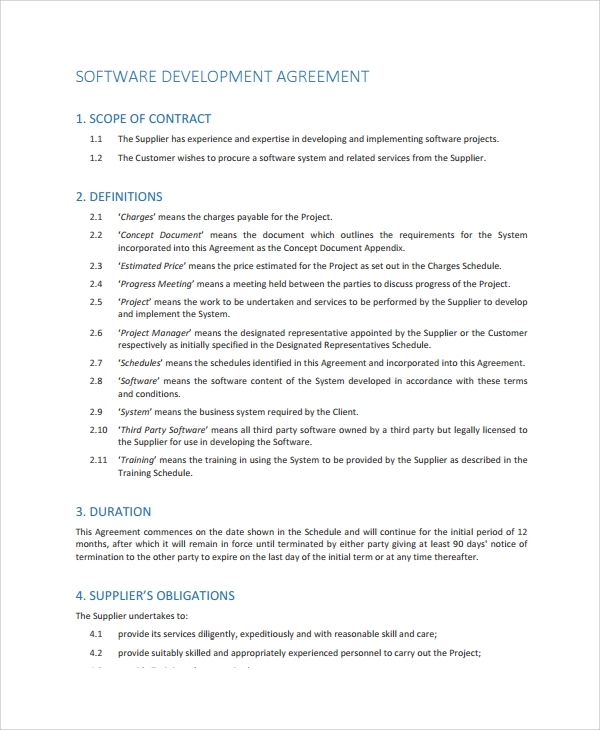 This agreement have the details regarding every details of the developer firm, agreement details, the cancellation formalities, the timely delivery protocol, better maintenance service and also the compensation that the developer is liable to give in case of any irregularities followed by them. 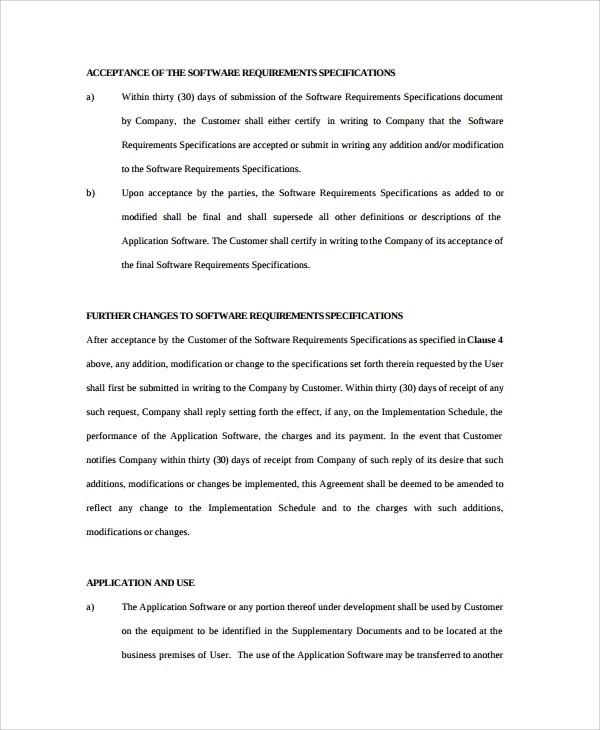 On a simple statement, this document is more developer firm constraint and gives legal rights to the client regarding the software they will be using in their processes. The templates give the authorization rights and can be used as a legal documents by both the parties i.e. the software developer company and the client who will be using the software. 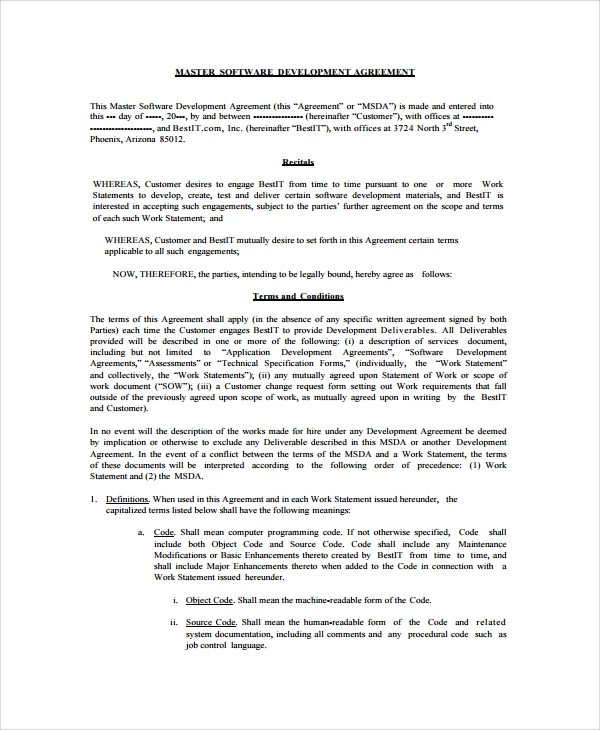 Such documents can be used as a proof and all such documents have all the terms and conditions and payment details of the agreement. We have all such templates with us that can be delivered to you at any time or you can get your own customized document made by us with the all the details you need. Be assured of the timely delivery and errorless document.